“Today is a great day for salmon, tribes, treaty rights and everyone who lives in western Washington. This Supreme Court ruling means more salmon for everyone. It will open hundreds of miles of high-quality salmon habitat that will produce hundreds of thousands more salmon annually for harvest by Indians and non-Indians. The Supreme Court has affirmed a common-sense ruling that treaty rights require there to be fish available for harvest. It affirms that the state can’t needlessly block streams and destroy salmon runs. The main cause of the salmon’s decline is that we are losing habitat faster than it can be restored. The ruling will result in a net gain of habitat that salmon badly need. Today’s ruling shows that our treaties are living documents. They are just as valid today as the day they were signed. We honor the wisdom of our ancestors who signed the treaties, and those like Billy Frank Jr., who fought so hard for the survival of the salmon and for our treaty-reserved rights to be upheld. This is the eighth time that the State and its allies have gone all the way to the Supreme Court to avoid living up to the treaties’ promise, and the eighth time they have lost. It is time to get the lawyers out of the way and do what is right. The salmon resource is priceless. 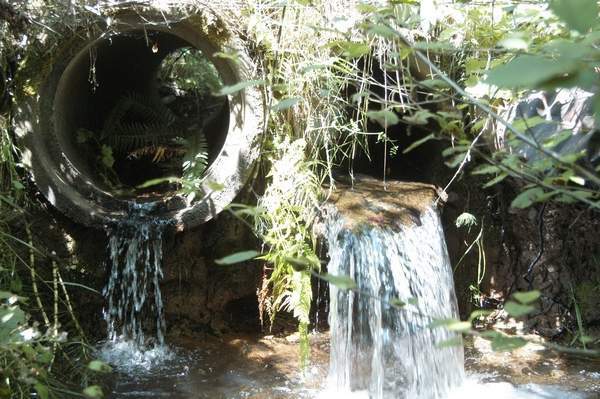 Fixing culverts and doing the other work needed to save that resource will require significant investment, but will pay off for generations to come. This entry was posted in education, Tribal Leadership and tagged culvert, Last Real Indians, LRInspire, Northwest Treaty Tribes by lrinspire. Bookmark the permalink.